When is transport by road necessary? 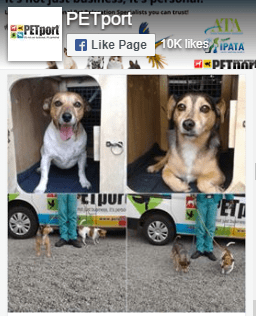 Whilst pet travel by air is the preferred mode of transportation due to being quicker and more cost effective, door to door collections and drop-offs as well as airport deliveries and collection via road is unavoidable. Our climate controlled vehicles driven by our well trained Animal Handlers ensure your pets safety and comfort at all points of travel. In some instances where pet travel is required to neighbouring countries such as Swaziland, Lesotho and Botswana, transport by road is also arranged. In situations such as these where pets are in the vehicle for a longer period of time, our Animal Handlers ensure regular stops to check in on the pets, top up their water, and if safe to do so, remove them from their crate and allow them to stretch their legs while under a watchful eye and guided by a lead. Snacks are also topped up for the longer road trips and pet owners will be kept up to date on their pets safety and well being for the duration of the journey. 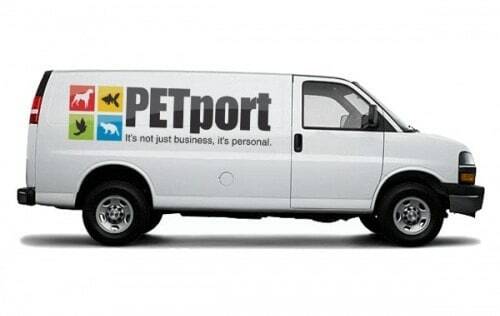 At PETport we pride ourselves on our beautiful fleet of branded vehicles which you will easily recognise on the streets of Johannesburg, Cape Town and Durban. All our vehicles are serviced regularly, mounted with Garmin GPS systems as well as monitored by Tracker. At any given time, we are able to track all our vehicles and ensure the safety of all pets on board. Our Animal Handlers pay special attention to details on the road while travelling and ensure everyone is kept up to date on road conditions or unforeseen route changes. All vehicles are climate controlled and equipped with water bottles specially packed for the rehydration and comfort of our pet travellers. Have used them twice, both times I've been extremely happy. Updated via telephone, email and sms. Driver was friendly and brilliant with pets. Good prices. Visit the countries page to find yours and learn more.